Can you see all those signs telling you to stay out?!? No wonder there isn't a Google Maps street view of the neighborhood. That first sign...can you make it out? It reads "Service & Authorized Vehicles ONLY". But this is a neighborhood, why do we have to stay out? 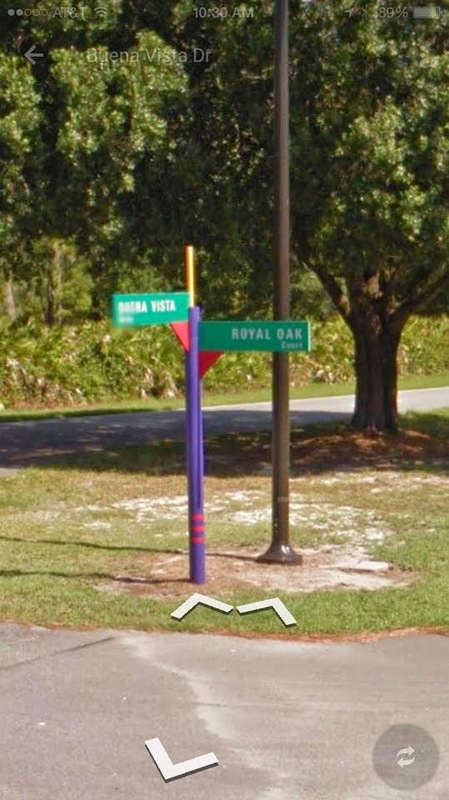 In order to fully understand what I believe this neighborhood is we have to take a look back to the beginning of the Walt Disney World Resort and a little thing called the Reedy Creek Improvement District. 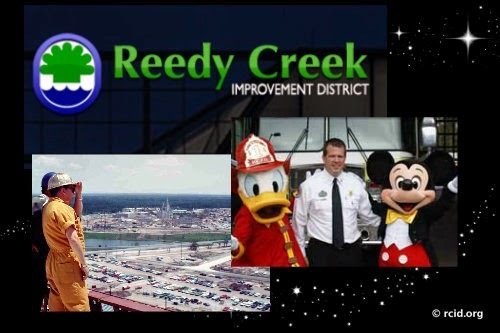 The Reedy Creek Improvement District (RCID) is the immediate governing jurisdiction for the land of the Walt Disney World Resort. 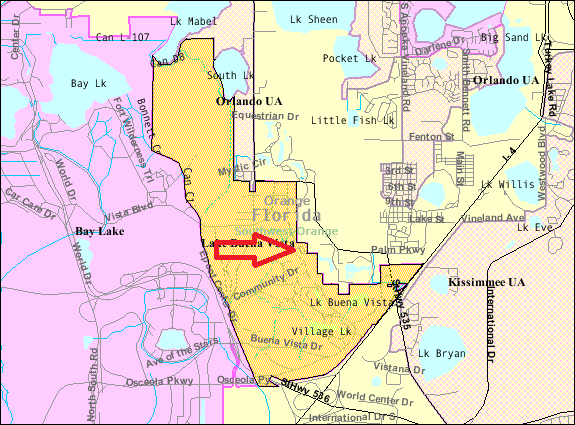 As of the late 1990s, it comprised an area of 38.6 sq mi (100 km2) within the outer limits of Orange and Osceola counties in Florida. 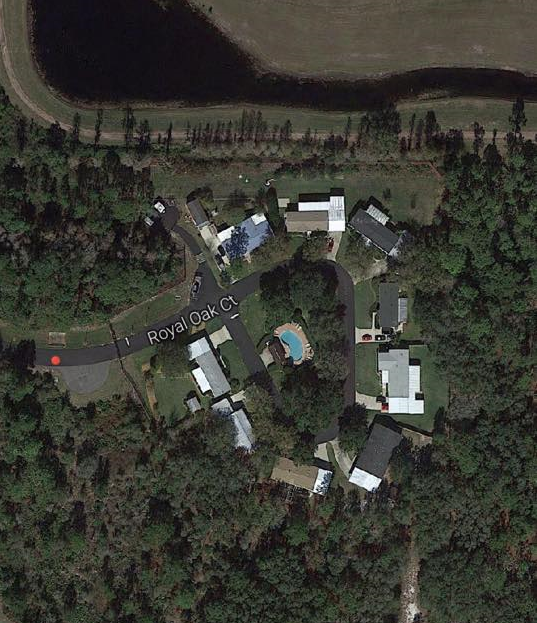 The RCID includes the cities of Bay Lake and Lake Buena Vista, and unincorporated RCID land. After the success of Disneyland in California, Walt Disney began planning a second park on the East Coast. He also disliked the businesses that had sprung up around Disneyland, and therefore wanted control of a much larger area of land for the new project. 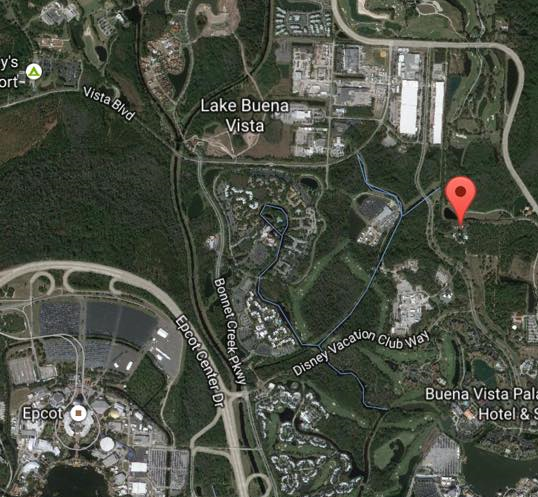 As a result, Disney used multiple shell companies to buy up land at very low prices from unknowing landowners in the area that would eventually become the district. These company names are listed on the upper story windows of what is now the Main Street USA section of Walt Disney World, including Compass East Corporation, Latin-American Development and Management Corporation, Ayefour Corporation (named because of nearby I-4, or Interstate 4), Tomahawk Properties, Incorporated, Reedy Creek Ranch, Incorporated and Bay Lake Properties, Incorporated. On March 11, 1966, these landowners, all fully owned subsidiaries of what is now The Walt Disney Company, petitioned the Circuit Court of the Ninth Judicial Circuit, which served Orange County, Florida, for the creation of the Reedy Creek Drainage District under Chapter 298 of the Florida Statutes. After a period during which some minor landowners within the boundaries opted out, the Drainage District was incorporated on May 13, 1966, as a public corporation. Among the powers of a Drainage District were the power to condemn and acquire property outside its boundaries "for the public use". However, Walt Disney knew that his plans for the land would be easier to carry out with more independence. 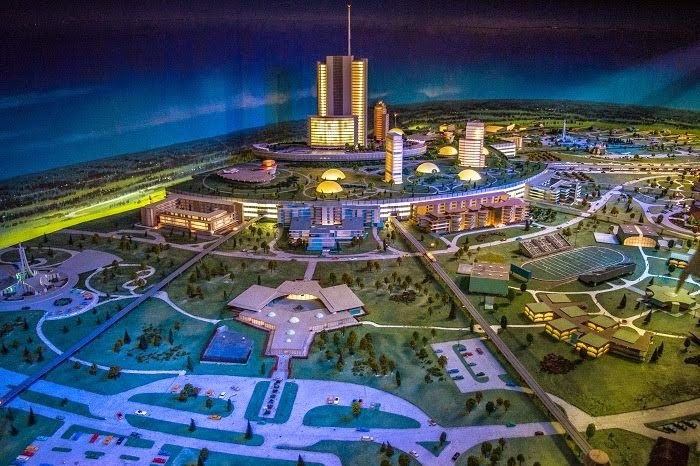 Among his ideas for his Florida project was his proposed EPCOT, the Experimental Prototype Community of Tomorrow, which was to be a futuristic planned city (and which was also known as Progress City). He envisioned a real working city with both commercial and residential areas, but one that also continued to showcase and test new ideas and concepts for urban living. 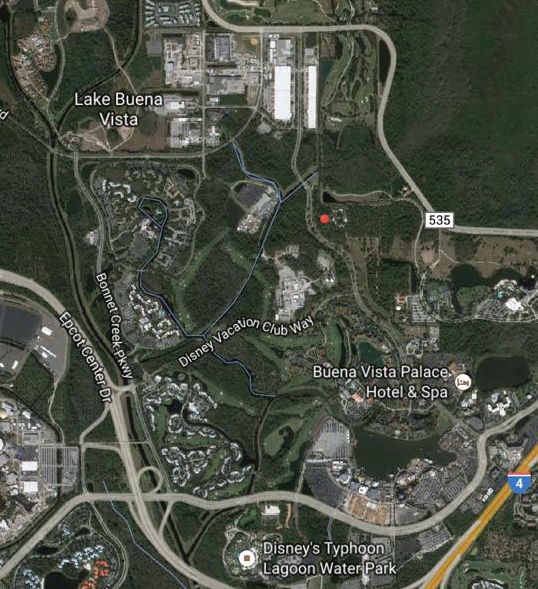 Map showing RCID cities of Bay Lake and Lake Buena Vista. 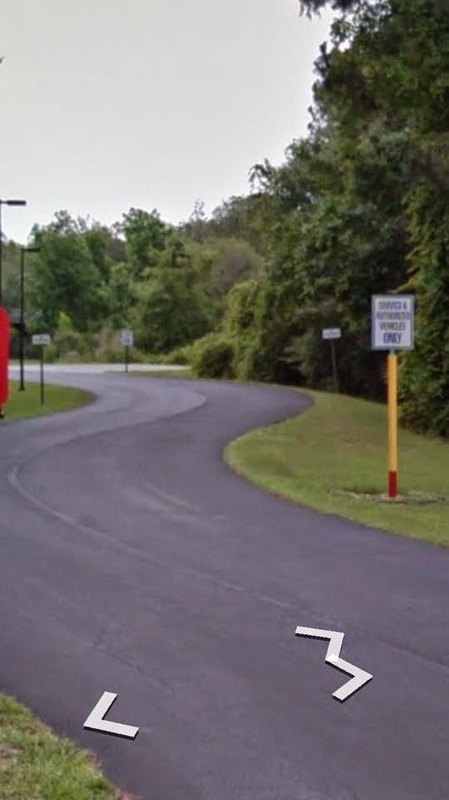 The arrow points to the location of our strange neighborhood. You see, a five-member Board of Supervisors governs the District, elected by the "landowners" of the District. These members, senior employees of The Walt Disney Company, each own undeveloped land within the District, the only land in the District not technically controlled by Disney or used for public road purposes. The only residents of the District, also Disney employees or their immediate family members, live in two small communities, one in each city. 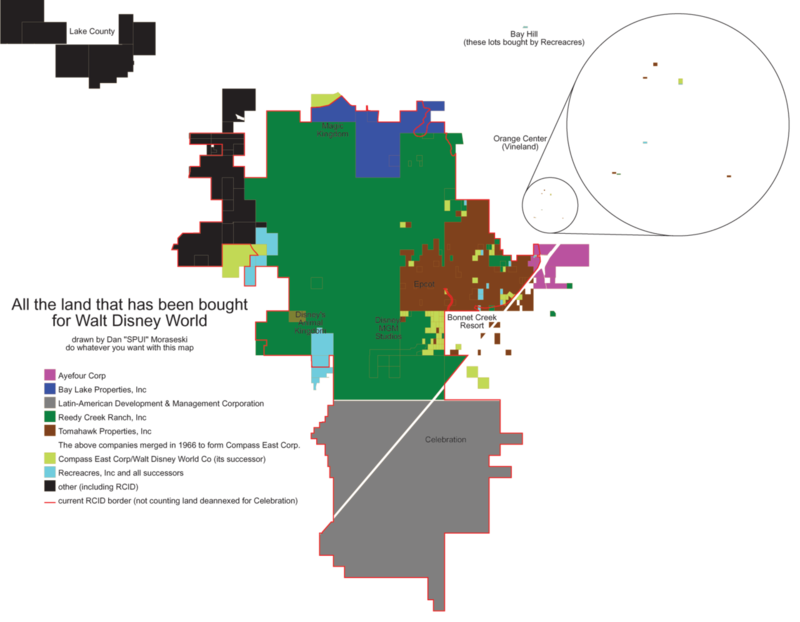 In the 2000 census, Bay Lake had 23 residents, all in the community on the north shore of Bay Lake, and Lake Buena Vista had 16 residents, all in the community about a mile north of Downtown Disney. These residents elect the officials of the cities, but since they don't actually own any land, they don't have any power in electing the District Board of Supervisors. So there you have it folks! 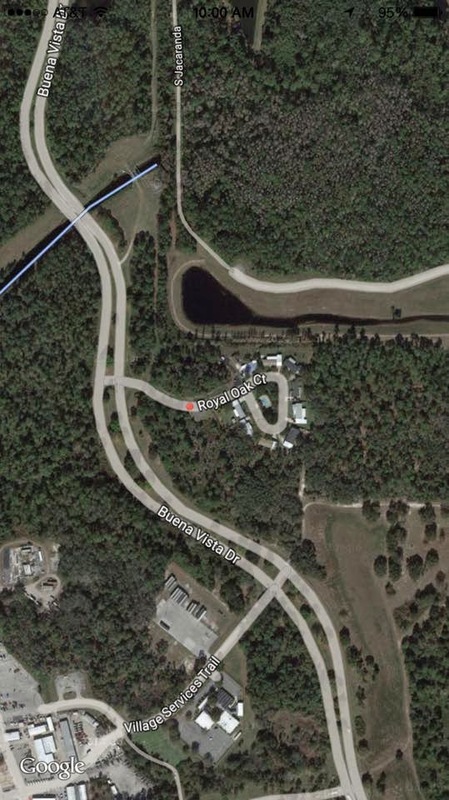 These lucky residents of a quant little community on Walt Disney World property are the reason we see this neighborhood hidden away. Time to figure out two more things...the first, where is the other community hidden, and the second....how in the hell do I become a resident?!? Keep your eyes open until we meet again with the answers to the remainder of the puzzle and let us know what you think about all of this in the comments below. That was fun! !